Krav Maga Global (KMG) by Eyal Yanilov is the world’s leading provider of specialized Krav Maga training for the Government sector. Krav Maga as a system, has been used by military, law enforcement and special units since the birth of Krav Maga in the 1940s. After the State of Israel was formed in 1948, Krav Maga has also been the preferred CQB system of the Israeli Defense Forces (IDF). Eyal Yanilov, head of KMG and one of the leading figures in the history of Krav Maga, brought Krav Maga out of Israel introduced it globally in the 1980s and 1990s. Since then, Krav Maga has been assimilated in more than 60 countries and has been fully implemented by many countries’ military, government and security forces. 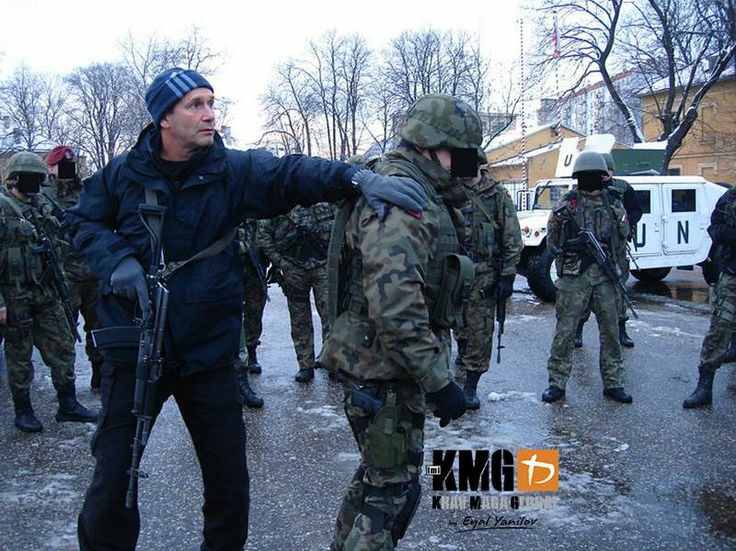 Today, KMG’s system for implementation and personnel training, combined with our direct and no-nonsense approach, is proven to be the most effective for operators and units worldwide. We provide them with specialized tools that are easy to learn and maintain, and allows them to solve threats and problems as efficiently as possible. Why Train Your Unit in Krav Maga? Well-equipped personnel are common in most modern military units around the world, but are they also well-trained to deal with different levels of conflict? Are they capable of correct decision-making during high-stress events? Are they knowledgeable on how to solve violent conflicts without the use of lethal force, especially in non-war times? Modern defense and military forces need the proper methods and tools to guide and educate soldiers, officers, agents and members of elite units in the development of essential technical, tactical, mental and physical capabilities. 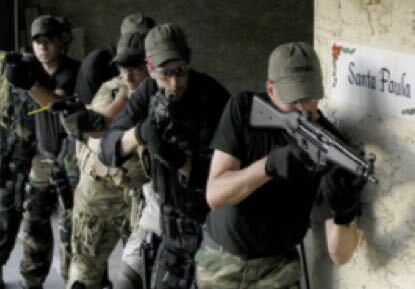 A key part of that education is studying and training in CQB, self-defense, 3rd party protection, defensive tactics, hand-to-hand, and close quarters combat (with or without different kind of weapons in the hand). This is the advantage in the Krav Maga Global approach: Not only do we cover all those types of training, but we take them to a higher level, with proven results. KMG avoids methods which train officers to be boxers or sports fighters who can only get good results in the ring, or mere operators of equipment, i.e. technicians who only know how to use firearms or other “tools” that make holes in paper targets. KMG’s unique system and skilled instructors, provides units with the highest level of education and comprehensive training not found anywhere else today. The course material and curriculum is divided into six levels: three “Fighter” levels and three “Warrior” levels. Officers must pass the tests and complete specific requirements to advance through each level. Educating high-level and proficient military instructors capable of teaching Krav Maga, unarmed combat, defensive tactics, and protection of others to their mother units. Developing systematic thinking and efficient operation of different units and task forces in order to complete a mission or objective. Development and training of a specialized curriculum for any given unit (normally divided up to six levels). First, Second and Advanced Levels of Military Instructor Courses – all tailored to suit various sectors of army, military, and special units. 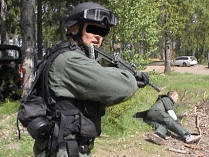 For specialized units, Military Police and Gendarmerie Instructor Courses. With Military and Special Forces training, educating military personnel to be complete combatants is the primary goal and immediate concern. Our education makes officers and units capable of correct decision-making during high-stress events, fulfilling combat missions, as well as capable of functioning correctly in peace-keeping and peace-enforcing assignments while interacting with civilians. At the same time, we recognize the importance of Instructor Education within Military ranks. For our Military Instructor Courses, we develop them in two stages: first, training existing instructors or ones hand-picked and screened from the unit’s personnel to create a cadre of in-house instructors; then second, monitoring them for the needed period of time until they are capable to deliver the knowledge to their mother units. In addition, KMG provides maintenance and refresher training to special units around the world, to ensure that they constantly updated and prepared for whatever they face. Krav Maga originated in military combat where it was forged by some of the most severe events and settings of the past century – amidst Nazi terrorism, the combat of World War II and the very violent confrontations in the Middle East. Krav-Maga was created by Imi Lichtenfeld, Israeli Grand-master (1910-1998) who started it in the late 1940s while serving as Chief Instructor for hand to hand combat and combat fitness training for the Israeli Defense Forces. After Israel’s independence in 1948, Israel was immediately at war with its neighbors and did not have the luxury of long periods of boot camps for its young soldiers, who were recruited and then sent immediately to fight. Due to this situation, the Israeli military needed an effective hand-to-hand combat system that could be learnt very quickly, would be easy to retain, and be very effective under various conditions. 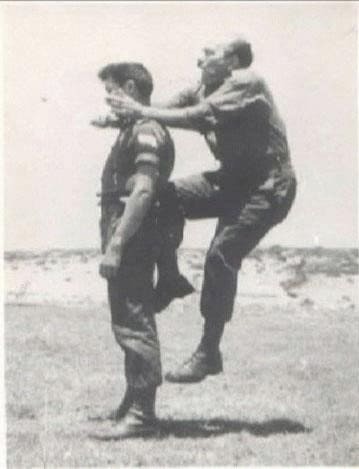 This was the birth of Krav Maga in Israel. Beginning with the pre-Israel special units of the resistance (such as the Haganah, Palmach, and Palyam), Krav Maga later became the official combative training for all military personnel, Israeli police and security forces. Since then, and most notably starting in the mid 80s, it has been studied, tested, improved and developed extensively by Imi’s closest assistant and KMG’s Head Instructor, Eyal Yanilov. Krav Maga techniques are now applied in governmental sectors such as various law enforcement agencies, intelligence agencies, and all areas of the army and elite military units.